Capt. 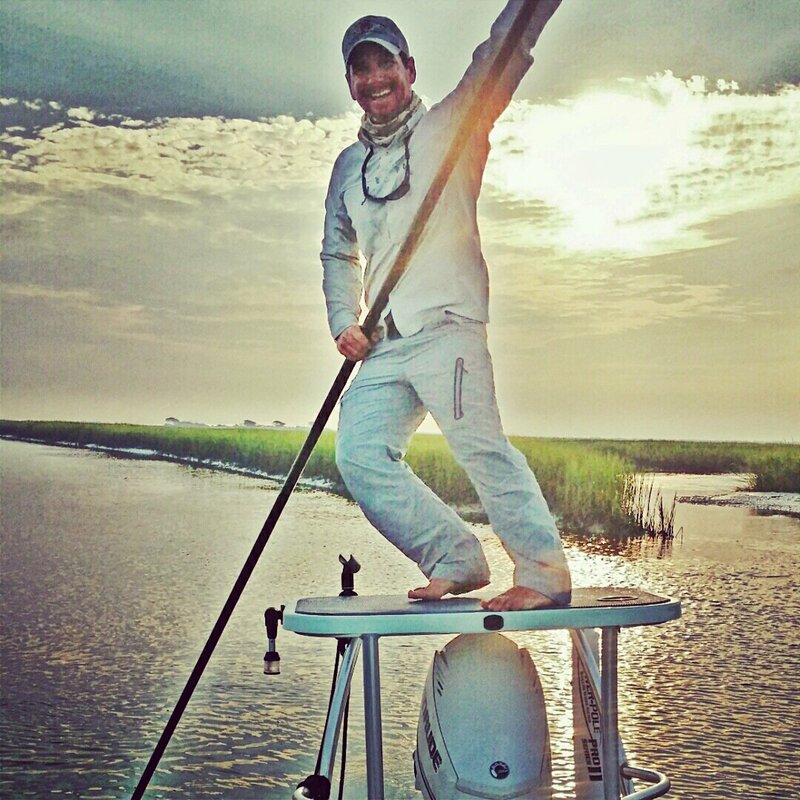 Seth Vernon joins the ARC Fishing Pro Staff from Wilmington, NC where he guides full time for a variety of inshore saltwater species, most notably sight fishing for redfish a favorite among fly anglers. Whether stalking schools over vast low tide flats from his skiff or singles and groups of tailing reds in the flooded spartina grass on foot one thing is certain; Capt. 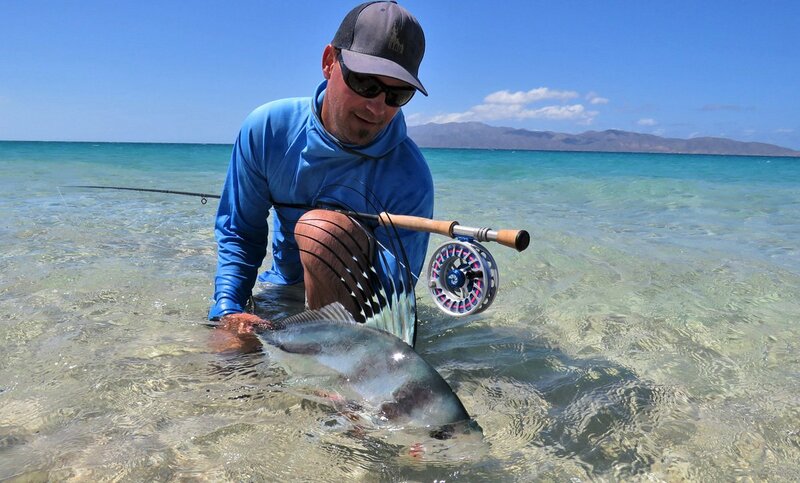 Seth will be doing what he does best, sharing his passion for fly angling with a smile and an infectious enthusiasm. 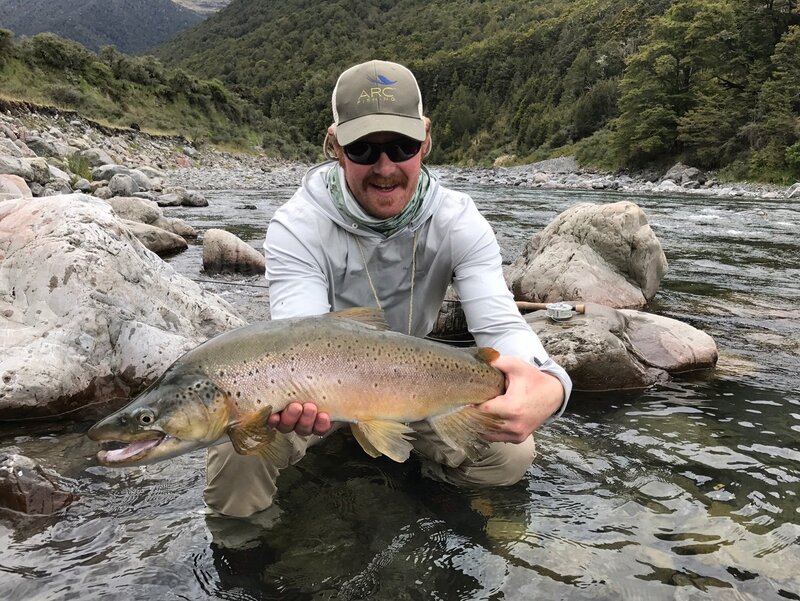 Seth brings over a decade of fly guiding experience to the ARC team and with it a lot of knowledge about the demands and needs for consistent performance and results in any saltwater habitat. Graham has an overflowing passion for spending time in pursuit of a vast array of piscatorial prey on the fly. He is an accomplished guide on many of the rivers in southwest Montana. When not guiding or conquering new waters, Graham can be found at home in Twin bridges Montana, tying flies or at the rod shop building bamboo fly rods! Justin first started fishing outside his home in Los Angeles, CA, when he was four years old. 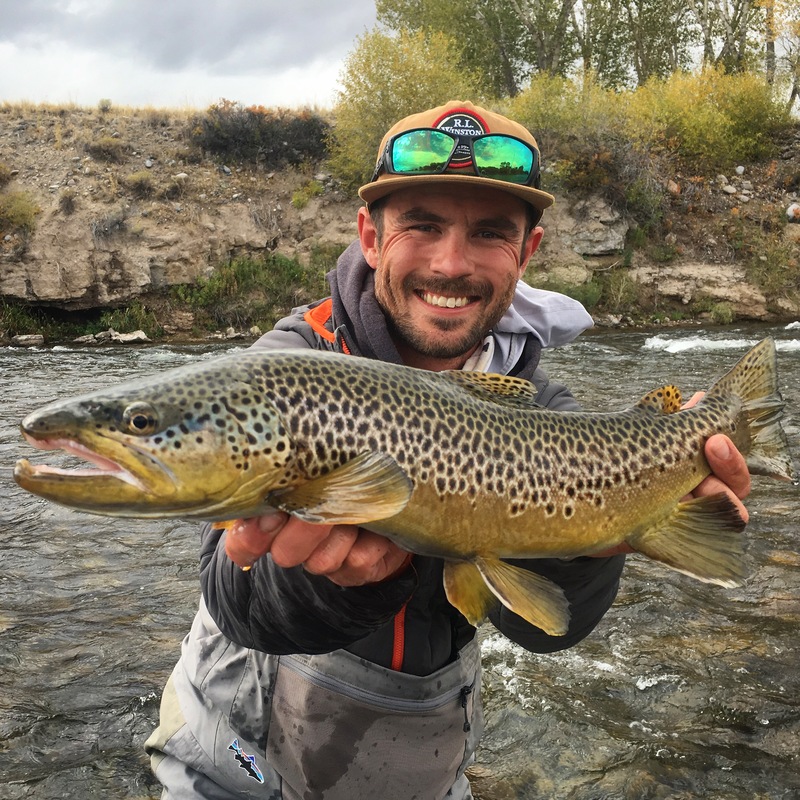 Following a move to Boulder, he picked up a fly rod for the first time at eight, and began exploring local watersheds and learning to fool Colorado trout. 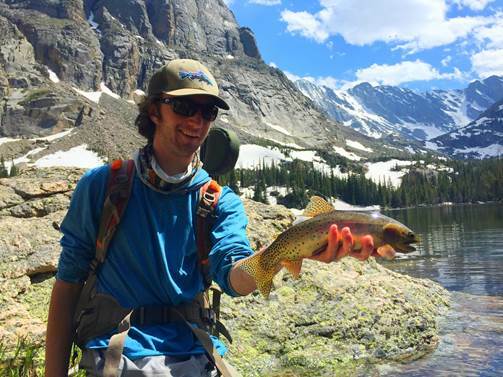 First a student in, and then a counselor in the Rocky Mountain Anglers youth camps, Justin transitioned into working both as a guide and in store for RMA. When not teaching clients out on the water, he can be found assisting customers in store, driving exorbitant distances and working tirelessly to likely catch absolutely nothing, or stuck in math class daydreaming about fish rising to dries. Bryan Huskey is an outdoor enthusiast inspired by the open spaces of the West. The stoic landscapes and rivers of this region provide the images Bryan shares through his work as a photographer and filmmaker. He is passionate about telling stories and sharing his experiences on public lands of the west while bringing light to its precious resources. He has produced several award winning films, along with published articles and images in various outdoor publications. Dusty grew up in Missouri, started fly fishing when he was eight years old, and spent his formative years highly distracted by the sport. He began guiding and teaching fly fishing in the early seventies while working on a degree in Wildlife Biology at the University of Wyoming. Living in Jackson after dropping out of law school, he tied commercially for High Country Flies and guided the Snake, Green and New Fork Rivers and in Yellowstone National Park. 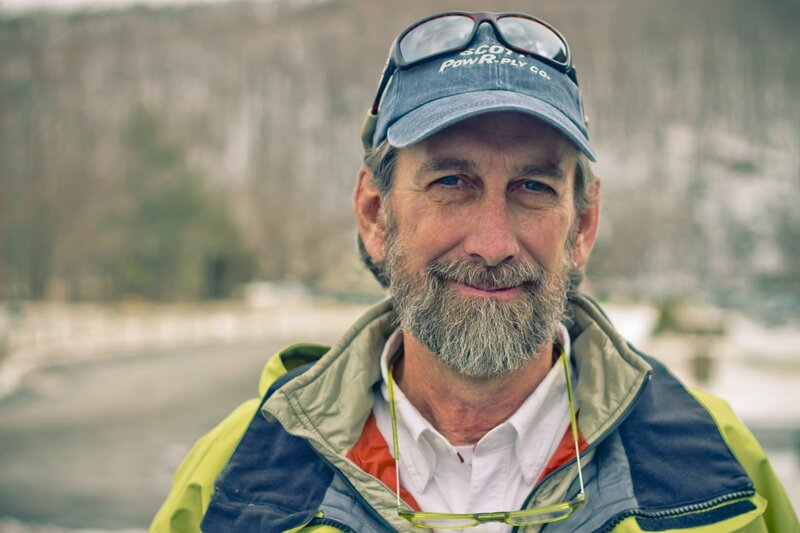 In 1996 he founded the Dusty Wissmath Fly Fishing School & Guide Service in the mountains near Mercersburg, PA where it quickly earned a reputation as a professional, yet easy going fly fishing school. As well as directing his own school, he is an instructor at the Wulff School of Fly Fishing and served as the lead instructor at L.L. Bean’s Fly Fishing School in Virginia. He guides in Pennsylvania, Virginia and Montana and hosts trips to fly fishing destinations worldwide. 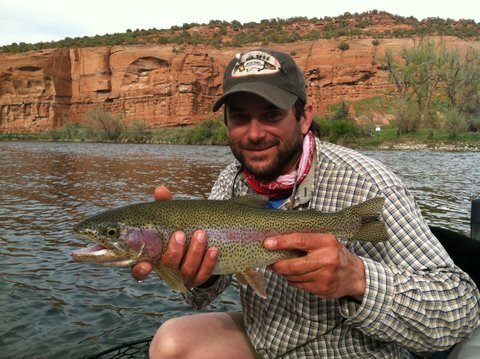 His writing and photography can been found in several fly fishing publications. Dusty lives in the Blue Ridge Mountains of Virginia. Greg Blessing began fishing around the age of 4 with his grandpa Clark in the Adirondacks (Tupper Lake) in upstate New York. Greg’s grandpa bought him a Hank Roberts fly-tying kit and a fly rod for Christmas in 1966. This was a beginning to a lifetime enjoyment of fly fishing! Greg has been guiding full time for for over 25 years. He’s the head guide at Anglers Covey fly shop in Colorado Springs, Colorado. His expertise includes access to public and private waters with his specialty being fooling the super-selective trout that live in the South Platte River at Eleven Mile Canyon. 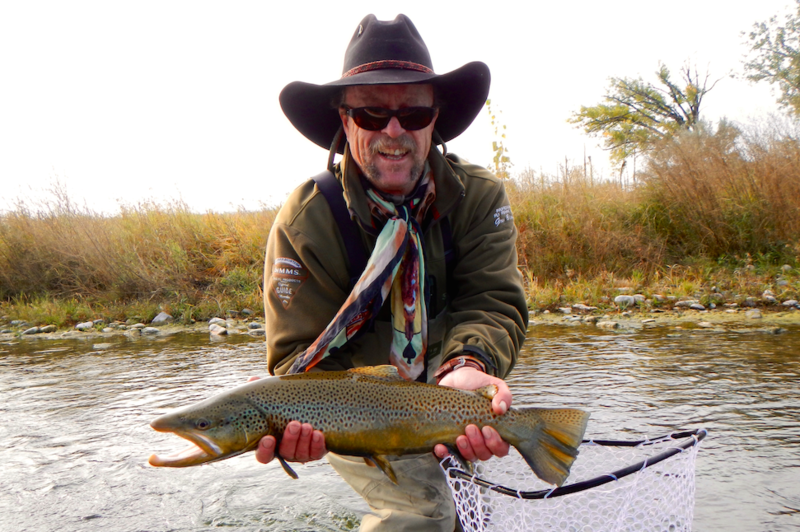 Greg has held his Montana guide license since 1997, and frequently guides on the Big Horn River out of Ft. Smith, Montana. He is a FFF Certified Casting Instructor and a fly designer for the Orvis Company. His patterns are available in fly shops throughout the United States or directly from the Orvis Company. Art has been with a fly rod in hand since around the age of 13. It’s now what fuels and drives his life. Having had the opportunity to guide all across Montana, Alaska and Chile, Art has now settled into trout central USA in the small town of Twin Bridges, Mt, with his fiancé Kara who is a crazed trout huntress herself. After 8 years of guiding he still truly enjoys watching/teaching others how to fish as much as angling himself. When he’s not guiding or fishing, you will find him hunched over his tying table wrapping half a chicken or rabbit onto a hook. Art enjoys throwing big streamers for browns or anything that isn’t scared of what he is jiggling past their face. Tying/fishing is a terrible addiction for him and it gets worse every year he says. My love for fly fishing began at an early age when my grandfather showed me his Headon Black Beauty Bamboo Fly Rod. Did he let me fish it? Nope! But it inspired me to started fly fishing every piece of water I could find. I think I was the only kid in Ohio trying to catch fish on a fly rod? This obsession of catching fish lead me to quit a “Real Job” and chase a dream of actually enjoying my job. I found it in the best place ever! Whitefish, Montana. I am the manager of Lakestream Fly Shop and one of its lead guides. Nothing beats a day on the water. Great equipment makes that day even better. I’ve always been irritated by fly lines that don’t float and are a pain to clean. ARC fly lines cast amazing, float like a cork and are as easy as it gets to clean. The first time I used an ARC fly line I was sold. No more more fly lines that don’t float! John grew up in the Adirondack Mountains of New York. He picked up his first fly rod at 14 and couldn’t put it down. 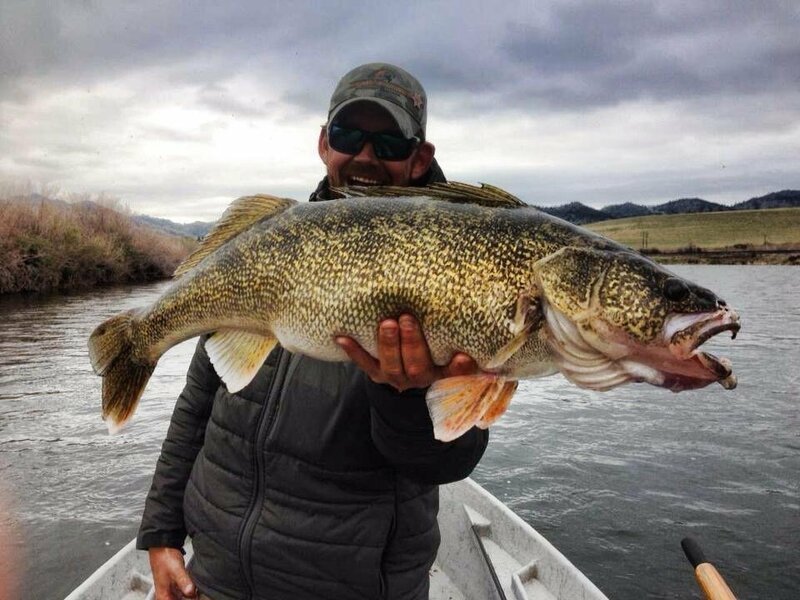 In 1997 he moved to Yellowstone National Park to become a fishing guide. Over the years John has held a number of jobs in the fishing industry, from guide to building boats, and currently is the Head Sales Associate at Montana Troutfitters. John’s passion for fly fishing has only grown over the years and is always striving to increase his knowledge for the sport he loves. I was born and raised here in Missoula, MT. One of my first times I can remember fly fishing was when my family and I backpacked into the Bob Marshall for eighteen days. This is where the addiction began. I still vividly remember my eleven year old self trying to tie clinch knots, snapping flies off, catching cutthroats, and was convinced that the Royal Wulff was by far the best fly out there, Since then I have learned a lot more Montana favorite flies and a lot more knots! Also, I have been back in “The Bob” every year since then. I spent my college days over at MSU in Bozeman and fell in love with another beautiful part of our great state. I came out of Bozeman with more of a streamer fishing degree than anything and still practice throwing rabbit and marabou concoctions on a regular basis. Since moving back to Missoula MT, I have been working at The Kingfisher Fly Shop and took over managing the shop within the last year. It’s been a dream come true to be working at the shop that I frequently went to as a young fisherman learning the ropes of fishing in Western Montana. four-wheeling and hunting. 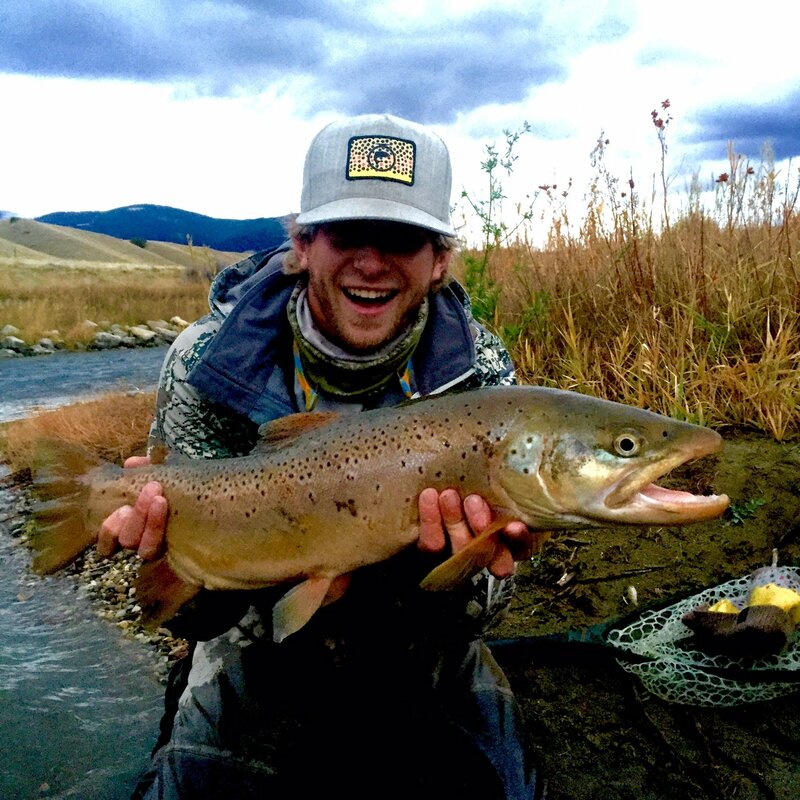 Formly got into fly fishing in 2009, and ended up attending Colorado Mountain College for the certificate program as a fly fishing guide as well as fly tying. 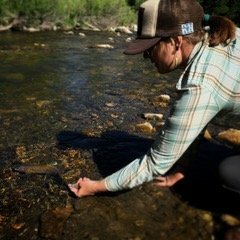 Soon after I started working for Rocky Mountain Anglers in Boulder as the fly tying instructor, guide in both traditional western fly fishing and tenkara. I’m also the co-founder/leader and organizer of the Rocky Mountain Lady Anglers. A group of ladies who just want to get out and fish, and leave the stereotypes behind. As an advocate for women in the outdoor industry I’ve spoken at a few events such as the Women’s Showcase at the Denver IFS. I continue to push for gender equality in the outdoor industry. When I’m not outside I enjoy drawing, painting and crafting classic married-wing salmon flies. I’m an artist at heart, and exploration of the natural world fuels that passion. On my infrequent free days you’ll find me fishing tenkara in the more remote locations like Indian Peaks Wilderness, chasing spring creek browns in the wilds of Wyoming, or wing shooting when the season calls.